Jill is being recognized for her excellence in academics, athletics, leadership, and service. Academically, Jill is an outstanding student in the top 20% of her class. She is a distinguished member of both National Honor Society and Spanish National Honor Society. She has also been recognized as a top performer at RMHS by earning Century Club recognition last year. This year, Jill has continued to challenge herself by taking AP European History and AP Spanish and performing very well in both. 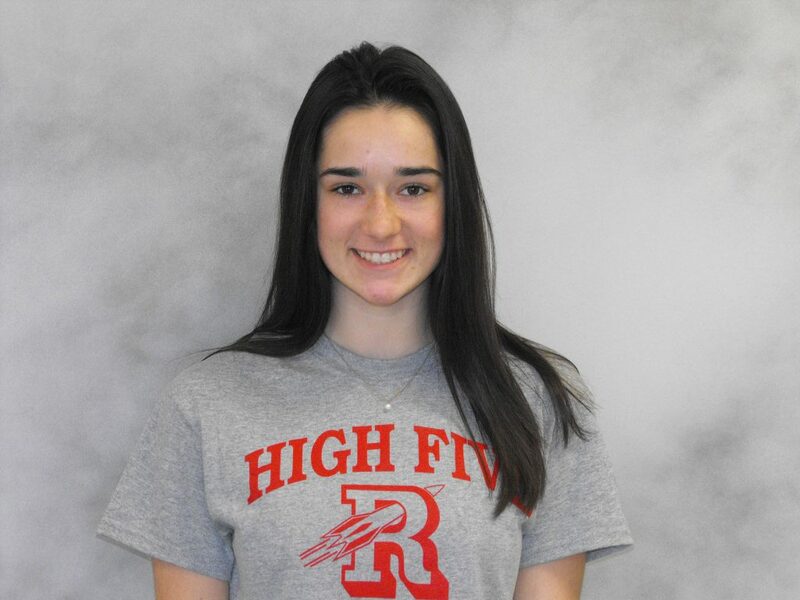 In terms of athletics and activities, Jill has been a 2-year member of the Girls Varsity Soccer Team and a 4-year member of the Girls Varsity Lacrosse Team, where this year, she serves as one of the captains. Over the past two years, Jill has also been a very dedicated officer for the Class of 2018 in the role of Social Chair. In this role, she has been an essential contributor helping to plan for and manage a very successful Junior Prom last year and helping to coordinate the never-ending number of exciting senior events this school year. Jill also finds time in her busy schedule to give back to her local community in a variety of ways. She serves as the secretary of the Samantha’s Harvest Club, where she helps raise awareness by fundraising to support programs that directly enhance the lives of individuals with Down Syndrome. She also volunteers at the Reading Food Pantry and at St. Agnes Church, where during the summers, she teaches religious education to middle school-aged children. Lastly, Jill has spent the past eight summers working at a science camp in Winchester with her grandmother, helping school-aged children discover the wonders of science through interactive activities and experiments. Next year, Jill will be attending Providence College where she will study Elementary Education and Special Education. Yanni is being recognized for his outstanding achievements in academics, athletics, and service. Academically, Yanni has challenged himself throughout his time at RMHS–taking a number of difficult courses including AP Chemistry, AP Computer Science Principles, AP Biology, and Engineering. 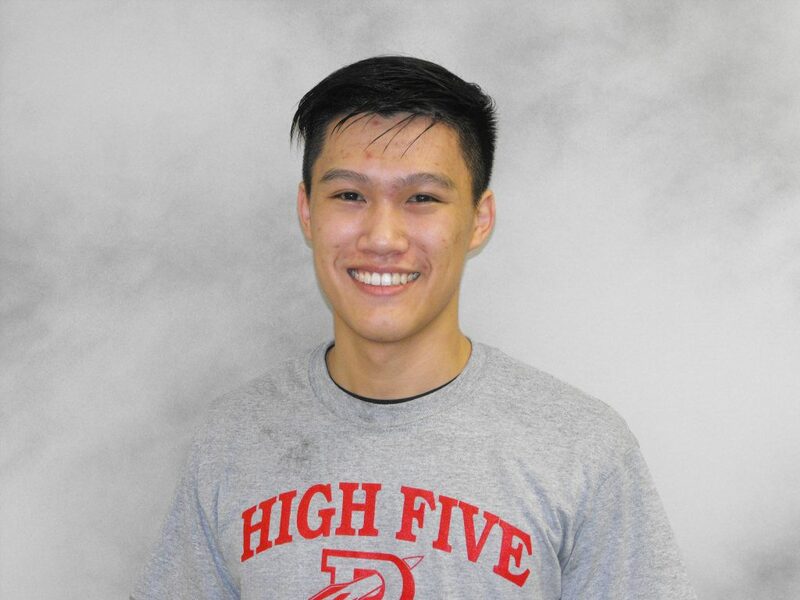 In his junior year during Real-World Problem Solving week, Yanni was recognized within his team as the MVP for his overall contributions, innovation, and leadership. This year, he has enjoyed the rigor and variety of his classes, especially Engineering, where recently he and his classmates have been constructing a robot. In terms of athletics and activities, Yanni is a 4-year member of the Boys Varsity Swim Team and has qualified for States in two of those four years. He also has been a dedicated member of the Student Library Assistants for the past four years, helping to manage pass distribution and to assist with the various technology issues that arise. Yanni is also very involved in a number of service opportunities–both locally and internationally. As a member of the Grace Chapel, he volunteers his time helping to supervise preschool-aged children during religious services. Additionally, Yanni has participated in three separate church missions including to New Mexico, Trinidad, and Guatemala. In these interesting and exciting service opportunities, he helped communities to renovate local recreation centers and helped teach children at surrounding vacation bible school programs. Lastly, in spite of his very busy schedule, Yanni even finds the time to work as a fry cook and cashier at Chick-fil-A! Next year, Yanni will be attending a 4-year college to study Engineering or Computer Science. Congratulations, Yanni!